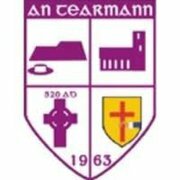 Termon Minor Ladies fantastic record ends in Belfast. Termon Minor ladies who were last defeated in November 2007 went down to a strong St Paul’s Belfast team in the Ulster Minor Ladies final played in Belfast on Monday. Termon who fielded with the flu stricken Geraldine Mc Laughlin at fullforward put up a gallant show but it was Siobhan Bell from St Pauls who scored three Goals that pushed St Pauls over the line to lift the first Ulster Minor title for the host club.